Fettuccine, ravioli, lasagne, tortellini, cannelloni, spaghetti, macaroni… If (like me) the mere mention of these words make your mouth water, you’ll be happy to know that today, 25 October, is World Pasta Day. “Account was taken and stress was laid on the importance of spreading to the utmost the knowledge of pasta among consumers throughout the world by means of collective initiatives of promotional nature and institutional information campaigns. 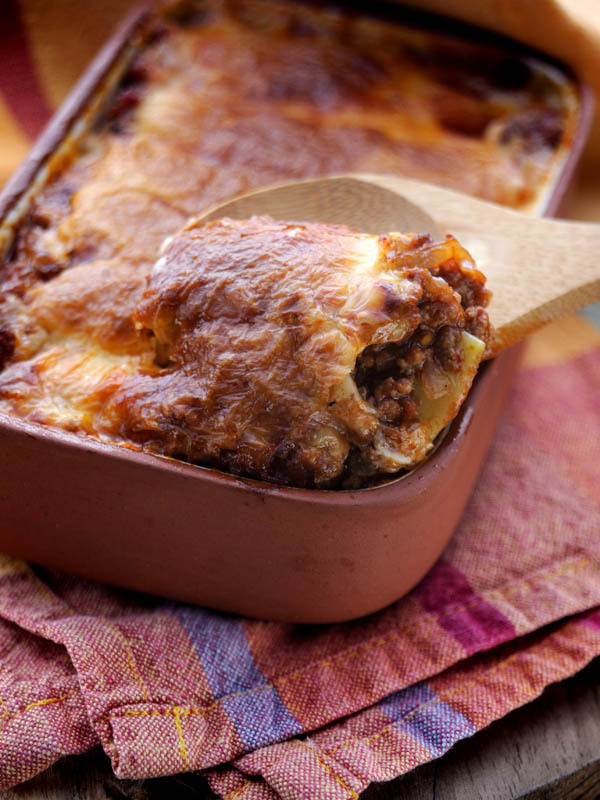 Lasagne with homemade pasta – that’ll hit the spot! I’m all for it, of course. If I had pick a favourite category of food, pasta would definitely be at or near the top. Its versatility makes it ideal for everything from a quick snack to a hearty home meal to a gastronomic feast. And I know many people share this passion – quite amazing for a simple dough made from only flour and egg. But of course the magic doesn’t lie in the pasta itself, but in the way it serves as the perfect base for anything from a basic sauce or pesto to a mouthwatering combination of vegetables, meats or seafood. But wait, enough talking – I’m ready for a good hearty lasagne. Buon appetito!